Liz Deschenes and Florian Pumhosl explore the AIC’s photo collection. Photograph: Courtesy of the Art Institute of Chicago Florence Henri, Self-Portrait, 1928. The premise of “Parcours” is ambitious: Art Institute curator Matthew Witkovsky asked artists Liz Deschenes and Florian Pumhösl to create a group show based on a 1930s proposal by Bauhaus designer Herbert Bayer. The resulting exhibition incorporates the museum’s photography collection as well as the architecture and infrastructure of the institution itself. Visitors learn the exhibition’s back story only by visiting its blog. The lack of wall text is confusing—especially when “Parcours” positions one of the gallery’s temporary walls, made by kub2, as an art object. Displayed with window screens that the museum used to protect pieces outdoors, the wall calls attention to the myriad curatorial decisions that affect how we view art. Pumhösl and Deschenes give us minimal direction on how to navigate the parcours (French for route or path) among their own works and the photos that they curated. The fragments of glass in Pumhösl’s three black paintings reflect and magnify the other pieces in the gallery. A solid-white photogram by Deschenes shifts in tone as it’s exposed to light throughout the duration of the show: another comment on how art changes in a museum setting. 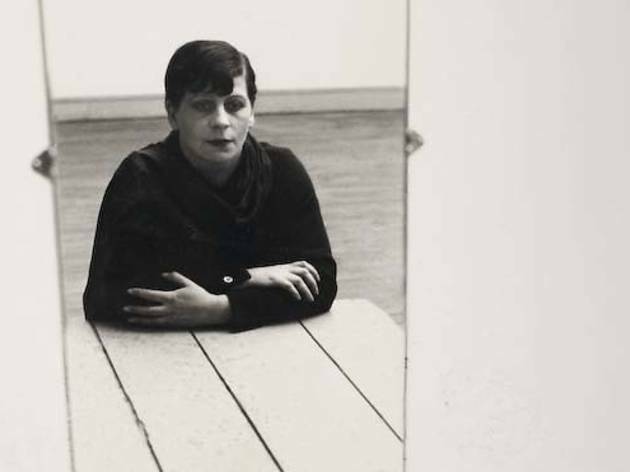 The duo’s Art Institute selections include documentary and landscape photographs by Ansel Adams and Lewis Hine, and self-portraits by László Moholy-Nagy and his Bauhaus student Florence Henri. 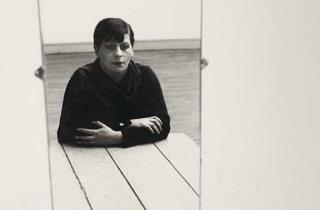 The wall text suggests that Pumhösl and Deschenes chose artists who were teachers, underscoring the show’s didactic nature. According to the “Parcours” blog, the images’ constricted spaces mirror the exhibition floor plan. Unfortunately, viewers—daunted by the external research expected of them—probably will get lost along the way.